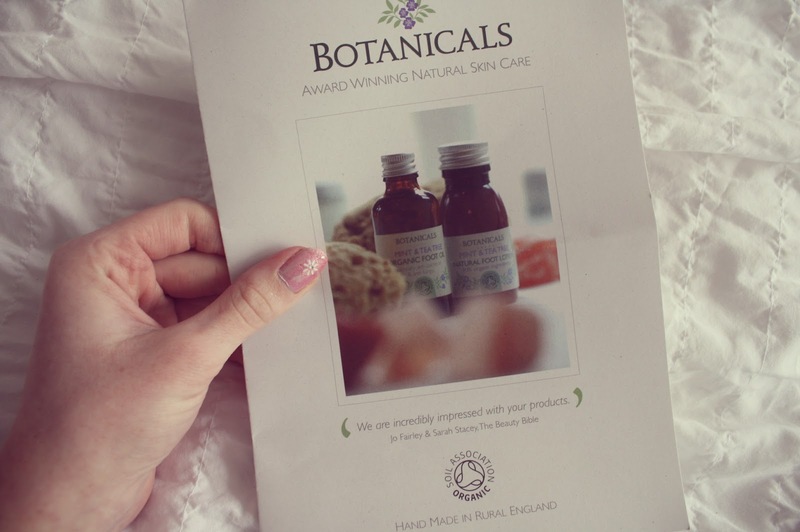 I was contacted by Botanicals a week or so ago, asking if I would like to write a review of any of their products from their site. I have started to pay more attention to my skin over the last year and so I was really excited about this opportunity! Out of all of their products, I decided I would most like the try out their 'Natural face cleansers' range. 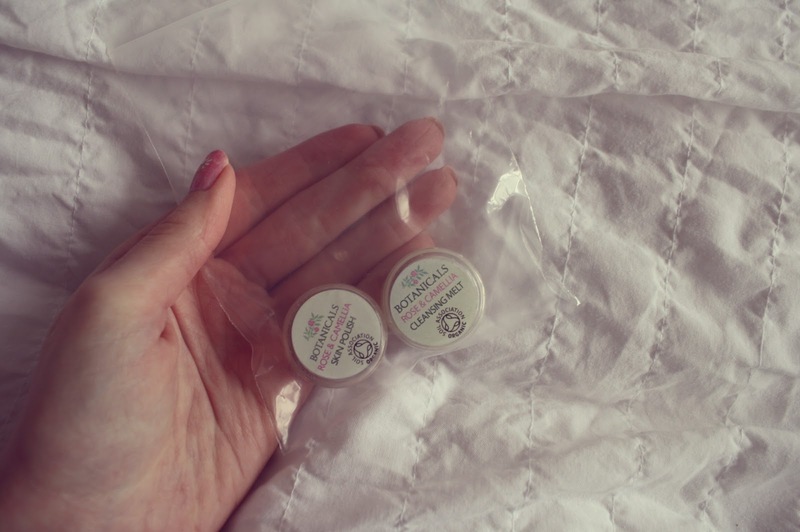 The two products I received were in the scent, 'Rose & Camellia'. Below is a little (okay fairly texty..) insight to how I got on with them! 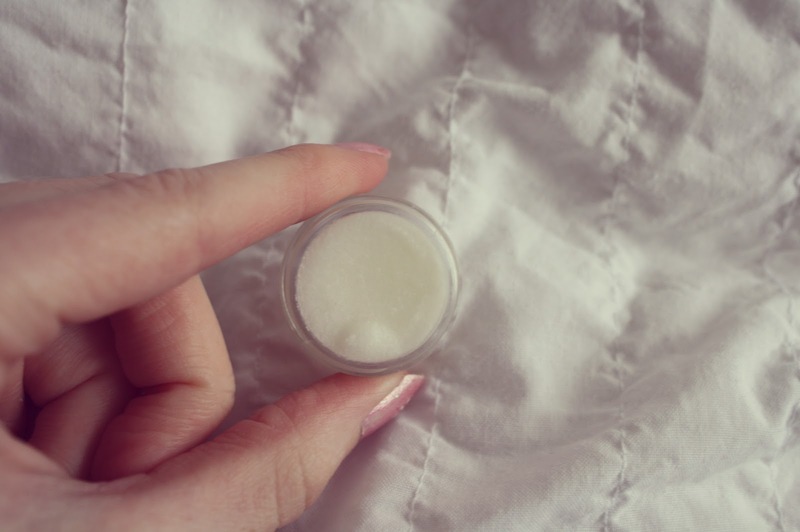 This was the first of the two samples that I tried -- I wasn't quite sure how I would get on with this product going by the fact it is a cleansing 'melt', something that I haven't experimented with before. The description claims that it is designed to 'penetrate the skin's lower layers; removing impurities and restoring natural balance'. Botanicals say that 'most facial cleansers strip the skin of its natural oil, forcing it to go into overdrive to produce more oil, and causing the skin to become imbalanced and problematic'. Having said that, the moment my skin was in contact with their product, I could really notice that it was oil-based -- this gives it the intention to dissolve make up, dead skin cells and other impurities whilst retaining the skin's natural balance. Despite the idea that the oil-based product is supposedly good for your skin, I was very weary when it first came to applying the skin to my face. As I was spreading it across my skin, I tried to avoid areas that are typically oily (particularly my nose and forehead) just in case I didn't react well to it. The next step was to remove the product using a hot cloth -- for this I used my muslin cloth that came with my Liz Earle hot cloth cleanser*. As I was rubbing the product off with the cloth and hot water, I didn't notice any change to my skin. It wasn't until when I dried my skin with a towel that I noticed how dramatically smooth it had left my face. The product had left my face feeling very refreshed -- I can't vouch for how well it would remove makeup, however, as I used this cleansing melt to freshen myself up in the morning. 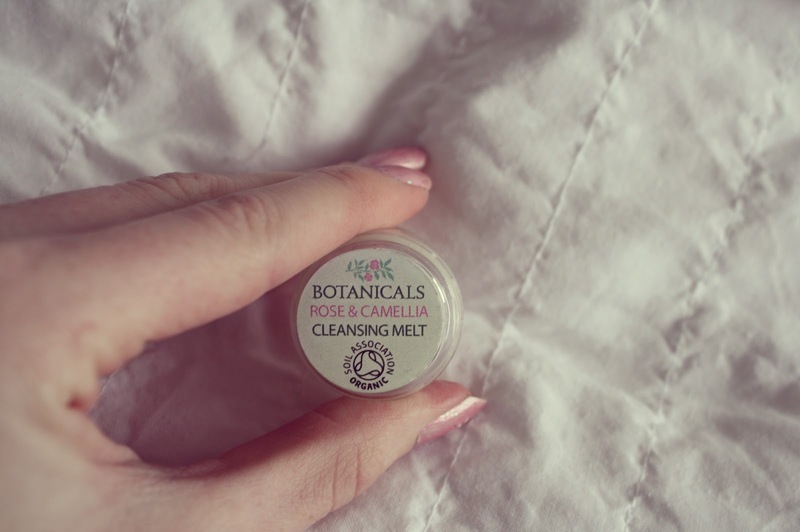 The melt made my skin feel silky, and the oily feeling was no longer there (which was around my T-zone when I first woke up). This pot contained 4g worth of the product and the smallest size on the website is the 'regular' pot, which holds 50g, costing £16.95. The product does what it sets out to, but I don't think that I could stray away from my Liz Earle cleanser -- I already find that a bit of a stretch for my purse and I don't think that I could afford the regular sized pot of the Botanicals Cleansing Melt each month. If you don't mind paying £16.95 for the 50g pot, then go for it -- the product does make your skin feel highly refreshed! But with me being recently made redundant, I don't think that I could personally afford it. 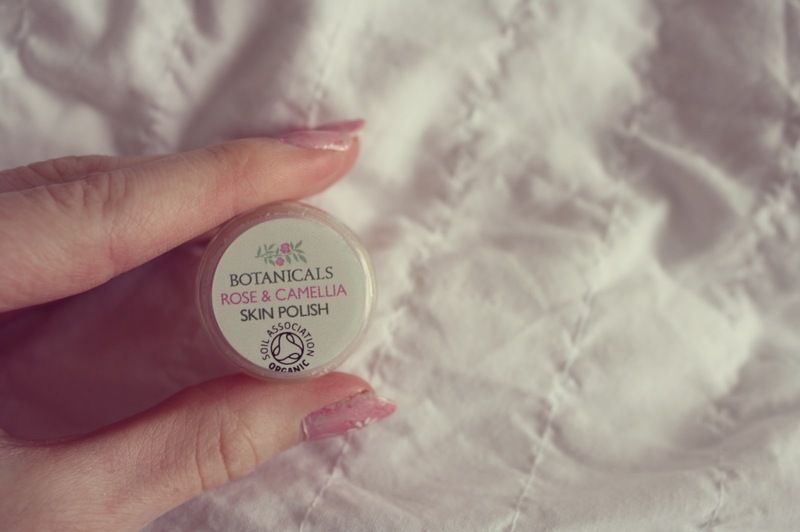 The second product that I tried was, again, from the Rose & Camellia range. This time, I tried a facial polish, another alternative to the melt. The scent of this product was ever so slightly stronger than that of the melt, but not overpowering (which I was surprised by as Rose is normally quite a strong, sharp smell, in my opinion). I preferred the texture of the polish to the melt -- it wasn't as smooth/shiny upon application so I wasn't so cautious in case my skin didn't react well to it. 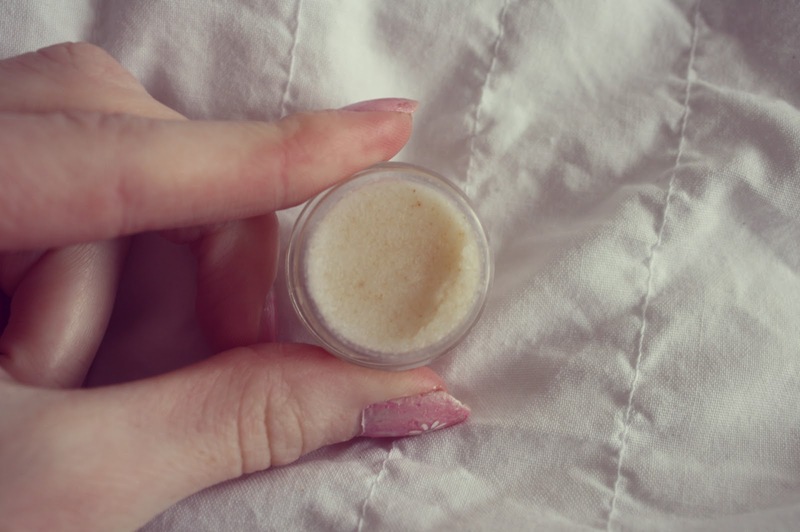 This product is a natural exfoliator, and as with the previous sample, it is made from 100% natural ingredients -- which you can tell from the scent almost immediately. This sounds irrelevant and I am yet to try out a sugar scrub, but from photos I have seen of those, the texture of this skin polish looked very similar. Some exfoliators have quite large 'beads' in them.. I don't know how to describe them in any other way, but I'm referring to the parts that brush against the skin! The skin polish by Botanicals feels very delicate in comparison, which I personally prefer -- especially if this product is designed to be used on your face. I know how a lot of exfoliators can be a bit too tough when used on legs! The website states that this is a great product for anybody that suffers from combination or sensitive skin (like me) and that the cleanser is ideal for normal to dry, and mature skin types. It also says that the 'product is concentrated (does not contain water) so only a small amount is needed. Which also makes it great value for money as a little goes a long way'. I felt that this is an accurate description and the 'little goes a long way' saying could go for both of the products that I trialed. On this occasion, this sample pot contained 5g of the cleanser and on their site, the 50g (regular) size costs the same price as the cleansing melt, £16.95 -- which leaves me with the same question, would I pay so much for a cleanser? Sadly, my purse wouldn't stretch far enough for me to treat myself to this product on a regular basis.